We enter the second season of our existence as a professional cycling team. Our first season saw immediate success as we finished 4th in the Continental Tour and earned promotion to the Pro Continental Tour. 2018 will see us line up in the middle tier of MG cycling. The management structure remains the same with the three man team; I'm supported by my two partners. While I look into the equipment and rider man-management, my partners take care of the logistics, transportation and finances. Together, we worked well to keep things running smoothly last season, and hope for more of the same in this one. Dutch electronics giants Philips continues to be one of our title sponsors and we continue to call Amsterdam our home as a result. The terms of the sponsorship remain the same, with the objective of improving Dutch cycling and providing a platform for Dutch cyclists to prove their mettle. Continental Tyres continues to be our link to German cycling, and they will continue to provide our tires, in association with Zipp who will provide our wheels. 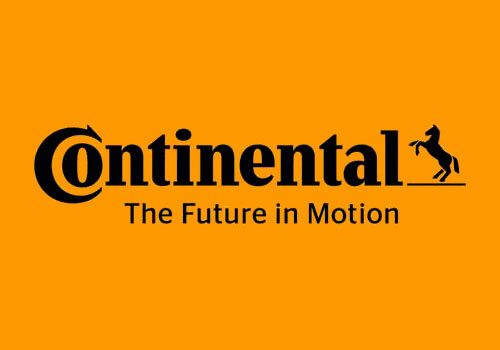 Continental has expressed a desire to see us increase our German contingent for the coming season. There is no major change in terms of other sponsors from last season. The only change that we are looking at is our jersey sponsor. They will be announced when the jersey in revealed. As our secondary sponsor, Unilever continues to encourage us to bring in a rider from outside our focus regions, for whom they will provide the funds. It remains to be seen whether we will be able do so this season. Our focus regions remain the same. We did exceedingly well in sticking to our focus regions for rider recruitment last season and hope to do the same again. There are some special requests from our title sponsors which we will keep in mind when we build our team for the coming season. Credits to krisa for this lovely jersey. *Green means Goal Achieved. Red means Goal Failed. *Races in bold are goal races. Other than that, love you guys <3 So happy to be promoting with you, can't wait to see how your PCT squad shapes up (sure you'll beat us again!) Go Philips! Good luck in Pro Continental Tour, I will follow as a fan no matter what. Glad to see that you have chosen not to change a winning formular, with main sponsers still on board. @jandal: The feeling's mutual Let's take the PCT by storm! @Tamijo: Thanks for the support and I'll keep an eye out for your team as well. Hopefully, a successful season in the CT awaits you. @Aquarius: Well we were not really limited to Benelux last season, and that trend is likely to continue. We'd still like to have a core from our focus regions. We would like to present to you our jersey for the 2018 MG season. Jersey designer krisa has done an incredible job once again of coming up with our new jersey. A big thank you to him for the same. Our jersey has been sponsored by 36cycling, who replace Biehler as our clothing sponsor. 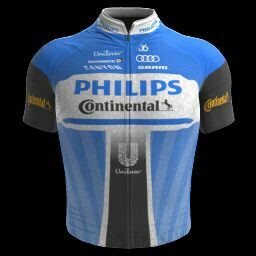 The Philips blue as well as Continental's epic black and orange combo is well highlighted in our new team livery. We hope to have a successful season in our new colours. Some recent developments have meant that there have been some changes in our associate sponsors. Delta Lloyd no longer exist as a separate entity and thus step away as a sponsor for the team. ABN Amro, already a sponsor, have agreed to expand their role and take over the former's past responsibilities. Canyon replaces Focus as our frames supplier after some off-season disagreements regarding our role in equipment R&D. We are now allowed a much more hands-on approach to suggesting improvements to our team equipment. We're sure this partnership will see us reach new heights. Duvenbeck have agreed to come on board as a sponsor, strengthening our ties with Germany as a focus region. Being a trucking company, they will also look after the logistics aspects of our team. After last season's dream run, it was difficult to part ways with some of the riders who were instrumental in the same. But at the end of renewals, and with loans ending at the end of the season, these are the riders who've left us for the time being. Tom Leezer and Albert Timmer were released with age catching up to them and with them deemed surplus to requirements. Michel Kreder is a huge loss for the team in renewals, but his demands were too high, and we had to let him go after he rejected nearly a 50% wage hike! Our renewal plans were nearly executed to perfection, except for negotiations with last year's star man, Michel Kreder. We wish it could be different but we can't compromise on our budgetary outlook at the moment, This does not mean we wouldn't welcome him back with open arms. At the end of renewals, we have a team of 14 riders with just 6 left to pick up. The team does not have any leaders capable of competing for wins in the PCT, and that is what we have to concentrate on in the market if we hope to survive in the PCT. We will have a wage budget of €1.6M to conclude our transfer business. We will not be looking for a high churn in personnel, but we are open to discussing any interest that other teams have in our riders, The Dutch core is unlikely to leave however. Sad too see Kreder leaving but guess it was the right decision with those demands. You have a nice core and signing some great leaders will make your team strong for PCT debut. Looks like a positive renewals period - I’ve had a key rider leave as well after some very aggressive wage demands. Will be interested to see how you adapt to the PCT in the offseason, as both our teams seem to largely be in the same boat. Good luck! @viking: Kreder leaving isn't ideal as he would've a great leadout to any stronger sprinter we may pick up, but that's how it is. Like you said, we have decent support already and need to build on it. @Booker: Our teams have been on a similar trajectory from the start isn't it? First with the team structure, then with results and finally ending up just a couple dozen points apart in the standings. Hopefully, this run continues for us both. @Yellow Jersey: Thanks Grabbing that leader is the most important factor now. Hopefully that is enough to survive. Heaps of budget and an awesome base, but I don't think you can ride in the Pro Tour with that team name.